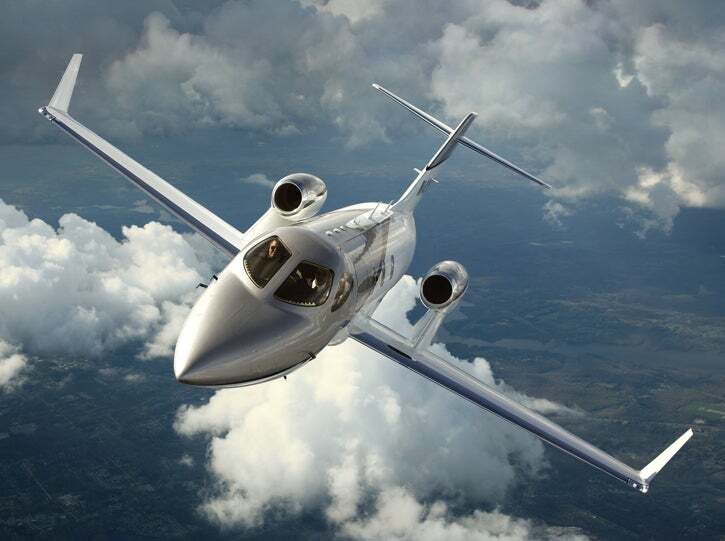 Honda Aircraft Company announced today progress and HondaJet program achievements during a press conference at the 2014 National Business Aviation Association (NBAA) Convention and Exhibition in Orlando, Florida. The HondaJet has begun a demonstration tour for customers as Honda Aircraft and the HondaJet dealer network continue final preparations for entry into service. 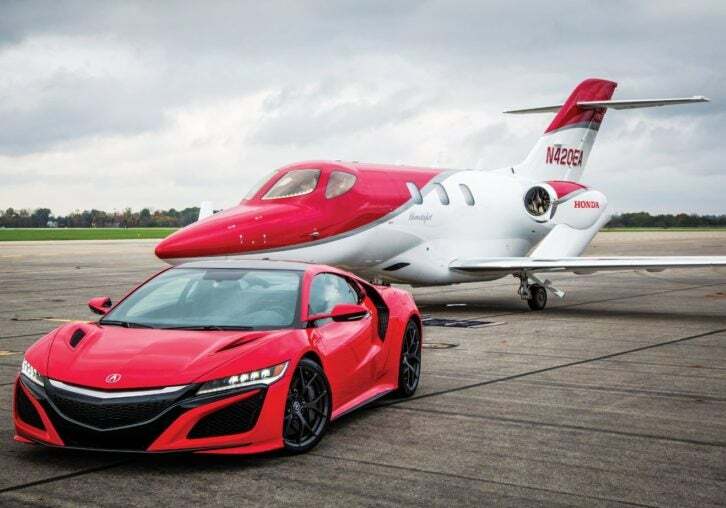 Honda Aircraft Company has conducted extensive certification flight testing at various locations across the United States. This includes test of minimum control speed on ground (Vmcg) in Kinston, North Carolina; high-field operation test in Telluride, Colorado; high-elevation field performance test in Roswell, New Mexico; crosswind landing test in Lubbock, Texas; avionics system test in Wichita, Kansas; and extreme cold weather testing at Eglin Air Force Base in Florida. The HondaJet flight test fleet has logged more than 2,000 flight hours and has conducted testing at more than 70 locations across the U.S.
HondaJet North American Demonstration Tour In September, the first production HondaJet started a demonstration tour with dealers in the United States and Canada. U.S. cities have included Salt Lake City; Des Moines, Iowa; and Greensboro, North Carolina. Canadian cities included Calgary, Edmonton, and Toronto. More than 100 passengers have experienced the HondaJet at these locations. 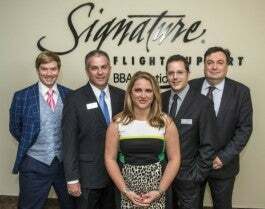 The tour will continue immediately after NBAA with stops in Fort Lauderdale, Florida; San Antonio; Monterrey and Toluca, Mexico; Phoenix; and Southern California. Production Workforce Increases by More Than 300 At Honda Aircraft Company’s world headquarters in Greensboro, North Carolina, production is ramping up and the final assembly line is full with 11 aircraft. The second production HondaJet is nearing build completion. 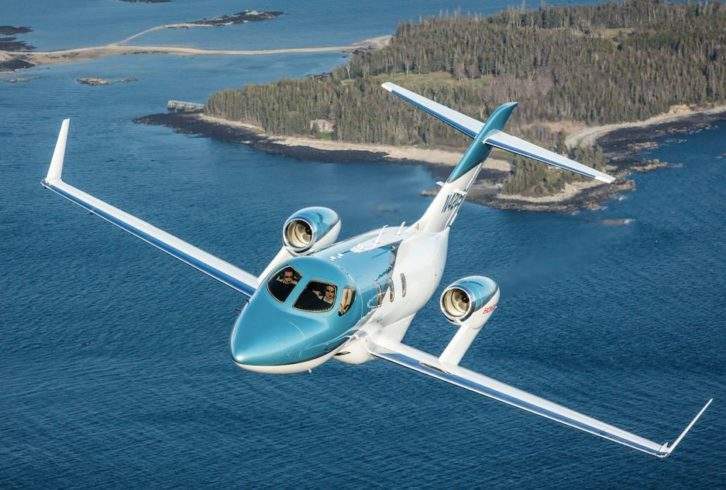 Honda Aircraft anticipates its first flight in the next few months. The company has also hired and trained more than 300 assembly technicians in the last 14 months to support aircraft production and its continued ramp-up. Honda Aircraft anticipates adding an additional 150 production jobs prior to entry into service. To support production ramp-up, Honda Aircraft has integrated the latest technology with HondaJet assembly technicians using hand-held tablets that deliver work instructions. A fully interactive parts list allows technicians to easily identify parts and their assembly. These devices improve production efficiency and have the capability to expedite the interface between the assembly line and inspection. Honda Aircraft Company World Headquarters Expansion Honda Aircraft also announced that the company is expanding its world headquarters located at the Piedmont Triad International Airport in Greensboro, North Carolina, to accommodate increasing sales activity and add a dedicated hangar for delivery preparation. Construction has begun on two projects, which include a 49,968-square-foot expansion of the main headquarters building and the addition of a 24,405-square-foot hangar to support aircraft production and delivery. Both projects are scheduled for completion in the second half of 2015. The $19 million expansion will bring Honda’s total capital investment in Honda Aircraft Company’s facilities to approximately $160 million and increase its total square footage to more than 680,000 square feet. Honda Aircraft is committed to providing the highest-quality training and support for the HondaJet and has partnered with FlightSafety International, the world’s leading aviation training organization. The HondaJet Training Center is operational with FlightSafety representatives working onsite. The full-motion, Level D simulator will be installed at the HondaJet Training Center in the first quarter of 2015. Pilot training will include type rating and recurrent pilot training programs for both single and multicrew operations. Since the opening of Honda Aircraft Company’s customer service facility in 2013, the company has been preparing to support customers and dealers around the world. A 24/7 technical support center will be ready to assist dealers in expediting the resolution of maintenance issues, including aircraft on ground (AOG) situations. Honda Aviation Finance Company, LLC has been established and has begun accepting loan applications. Term loan financing will be available to qualified HondaJet customers residing in the United States.